Dr. Shanker Ashish Dutt is Professor of English in Patna University, the former Chairman of Bihar Sangeet Natak Akademi and former Principal, College of Arts and Craft. He has been a U.G.C, British Council and American Centre resource person for English Studies and has lectured and chaired seminars at various eminent institutions. He is on the advisory board, governing body, Board of Studies and Academic Council of a number of universities and institutions and a consultant for various international educational organizations. He has framed the Masters and PhD Coursework syllabi in Patna University, Central University of South Bihar, Maulana Mazarul Haq University and Nalanda Open Universty. Writer and editor, his publications are in areas of Cultural Studies and Liberation literature. He has been a theatre actor and director, a debater and a columnist. A number of his research students have been Fulbright Scholars and many hold distinguished positions in the academia, the civil services,the judiciary, corporate houses and in social service. 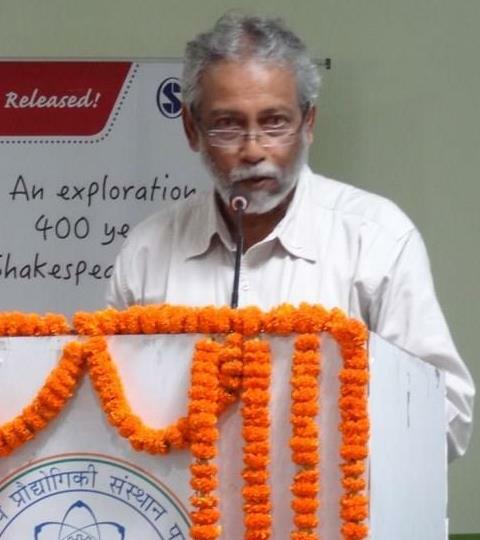 He has been honoured with a number of awards including the Best Teacher Award by Patna University, the Frank Anthony Award, Rotary and Lion’s Club Awards for his teaching, research and citizenship and in December 2016 with the Distinguished Xaverian Award.